Strong and supportive social networks help residents to be resilient during difficult times. Social associations are a useful proxy for social capital, networks of relationships and trust among people in a community. Social capital is a particularly important resource for people living in multidimensional poverty who have limited access to many other resources. Social connections can help those in poverty find solutions for the problems they face obtaining transportation, child care, and housing. 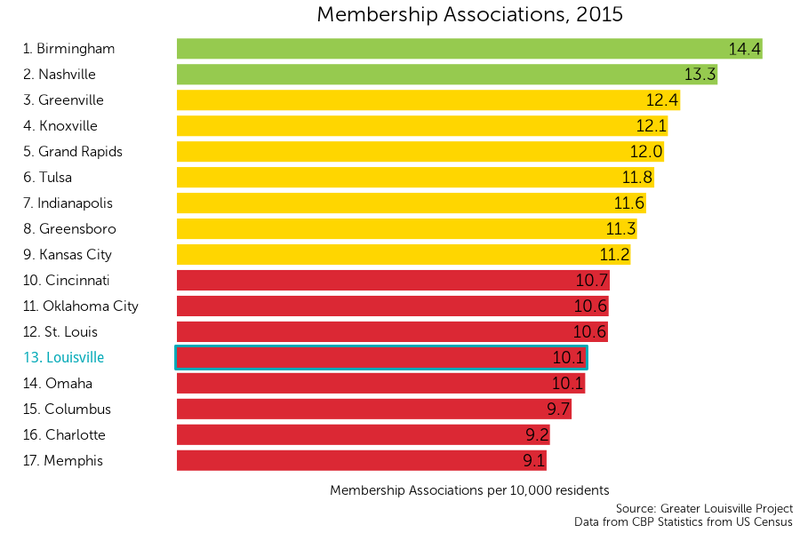 Louisville currently ranks 4th among its peer cities with approximately 10 associations per 10,000 residents. Louisville is in the top tier of its peer group according to a natural breaks algorithm. Cities in green are those that outperform their peers, cities in yellow represent the middle cluster, and those in red are a group that lags behind its peers on this indicator. The rate of social associations relative to the population in Louisville was steadily decreasing from 2005 to 2011 but has remained relatively constant between 2011 and 2015. 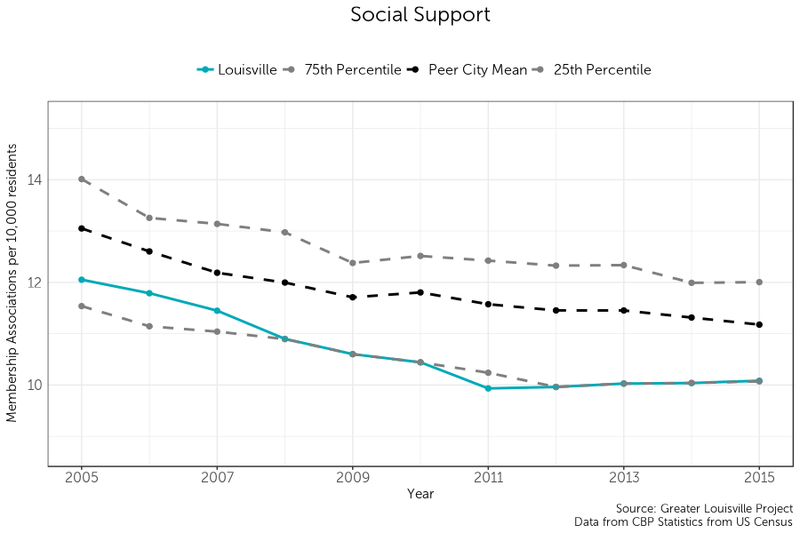 This decreasing trend is similar to the overall trend observed in Louisville’s peer cities, although Louisville remains near the 25th percentile of its peers.